During 2019 City International Week (18th-22nd February), academics from the School share their experiences of Erasmus+ Teaching Mobility at partner universities. In celebration of this year’s City International Week (18th-22nd February), six City Law School academics share their experiences of Erasmus+ Teaching Mobility at partner universities, demonstrating the School’s successful internationalisation efforts. Senior Lecturer in Law, Dr Enrico Bonadio, undertook Erasmus Mobility to teach IP law courses at University of Toulouse (France, 2012), University of Wroclaw (Poland, 2013), University of Szeged (Hungary, 2015), Leuphana University (Germany, 2016). He says: All these teaching experiences have enriched me and helped expand my academic network’. Professor of Law, Professor Elaine Fahey, undertook an Erasmus+ Teaching Mobility to University of Ljubljana Law Faculty in Slovenia in 2017 and the University of Iceland in Reykjavik in 2010. 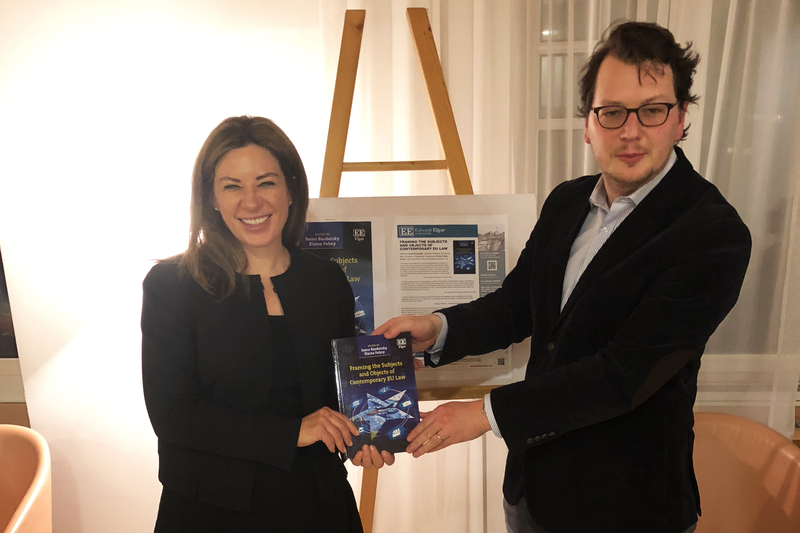 In Slovenia, she taught EU Constitutional law and EU law to undergraduate students, gave lectures on Brexit and did a book launch with her long-time research collaborator there. She said: ‘It was an incredibly rich research and teaching stay, particular holding the book launch in the wonderful Faculty Lounge until late. I am looking forward to going back for the Faculty 100th anniversary in 2020 - the faculty have already invited me to contribute to the proceedings and a book project. I particularly enjoyed getting in a day of winter sports after my teaching, right by the City centre. Ljubljana is an incredibly charming City’. Senior Lecturer in Law, Dr Luke McDonagh, said: "In 2016-17 and 2017-18 I spent 5-day periods at Scuola Superiore Sant’Anna, Pisa and the University of Ljubljana, respectively. Both were highly valuable experiences that enriched my teaching and research network. In fact, the contacts I made in Pisa with Andrew Bertolini led directly to the [EU Horizon 2020-funded] INBOTS project". Associate Professor, Katherine Reece-Thomas went to the Law department at the Catholic University of Lyon for three days in March 2018. She taught International Corporate Responsibility to the Corporate LLM group at Lyon, English Contract Law to the undergraduate students who are doing a Diploma in Common Law alongside their French degree, and Corporate Responsibility to the LLM Human Rights group. She also spoke to several students interested in coming to City for Erasmus exchanges and also for the LLM of which she is Director. Katherine says: ‘The experience was quite intense but immensely valuable in cementing our relationship with the Lyon faculty whom we hope to collaborate with more in the future’.